When Microsoft announced it would be releasing Windows 10 earlier this year, the buzz surrounding the announcement was firmly centered on four words: Windows as a Service. Now, a few months after its release, it’s time to reflect on what we’ve learned about this new version of Windows. Windows 10 – and the idea of it being a service – didn’t come without warning. Microsoft gave the marketplace a big heads up in January of this year and invested a lot of time and resources into educating people about the logic behind the shift and how it would allow them to be more nimble, flexible, and responsive to changing consumer demands. There was a lot of buzz surrounding Windows 10 then, and there’s still plenty of conversation revolving around Windows as a Service now. From webinars designed to help IT professionals manage clients and businesses to online Windows 10 user help guides, the industry has been abuzz with talk about this new upgrade of the omni-present Windows software. Protalinski tells readers that there really isn’t much of a downside to installing Windows 10 now, but understands that some businesses will be hesitant to jump in headfirst. Upgrading from one software version to another – particularly at an enterprise level – always calls for careful deliberation. However, the good news is that it’s relatively risk-free. Despite a few bugs and a bit of a learning curve, it’s smart for business owners and IT professionals to begin testing Windows 10 out on select PCs. After getting used to the differences, they can then invest in across the board upgrades. Microsoft is currently offering Windows 7 and Windows 8.1 owners a free upgrade to Windows 10 (for a limited time). Protalinski’s advice is that students and casual users hold off a bit, whereas business owners and IT professionals shouldn’t be afraid of upgrading. While no major flaws or issues have been discovered with Windows 10 yet, many potential users find the uncertain nature of the new version concerning. For example, it appears that Microsoft is following other industry competitors and transitioning towards a pay-per-user model. What effect will this have on the average company’s bottom line? Enterprises are also wondering how the Windows as a Service aspect will look down the road. 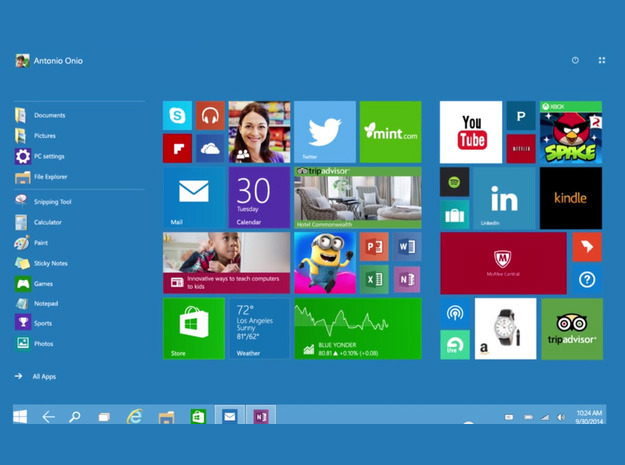 Will Windows be in a constant state of flux? Will things change so rapidly that users are incapable of grasping how different aspects work and function? These are real questions and concerns in the marketplace. In the end, though, the potential pros seem to outweigh the cons. While we’re only a few weeks in, Microsoft does appear to have its enterprise customers’ best interests in mind. The biggest benefit is that Windows 10 finally removes the virtual boundaries between PCs and mobile devices. Kingsley-Hughes calls this the “grand unification of Windows” and believes it will be the primary reason for success.